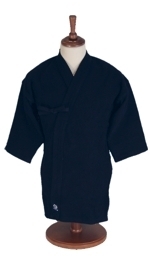 Meijin Budoshop recomends indigo color Single Layer jacket #32050. Other jackets like chemical color blue jacket #32001 or thicker indigo Double Layer #32100/32101(XXL) are suitable too. 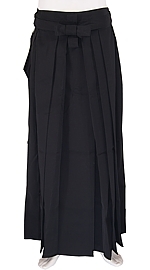 During hot weather is nice to use Summer jacket #320010, which is fast to dry. 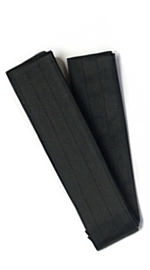 For hakama we recomend light black IH1 #310045 or broader model black AH1 #310046 with longer laces(Himo). Some people use indigo color #31100, where you can find also XXL-sizes. For belt we recomend 6cm iai obi black #350014 or broader and more colorful 8cm kakuobi #350031. For outdoor use in feet Jikatabi #2603312 or larger sizes on Jikatabi #2603712 (the calf width is also broader). Indoor use Getas, where you can find many models on #260 group. We have (Made in Japan) Katori bokken daito and shoto white oak #50011. 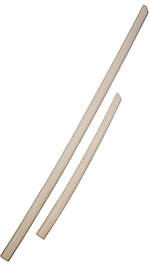 For swinging practise and power practise we have suburi bokken daito #500022116 and shoto #500022062. 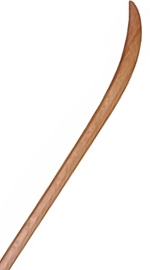 There is also very light weight (150g) Kiri bokken #50004102 which is suitable for macro movement practise. 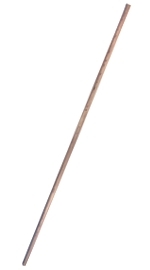 Katori Naginata, Yari, regular Bo we can order from Japan if not in stock or in our selections. The long white oak is rare in Japan so we have to recomend japanese red oak for longer weapon. For practise (iaito) we recomend #60003, which is light, fast and has excellent balance for Katori. 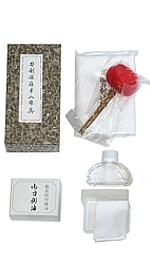 If you are looking veri high quality we recomend #60009 Toppei iaito. 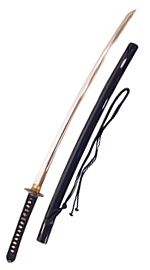 If you are looking for real shinken or nihonto you can make on inquiry thru us to Japan - please check #60100.